In order for us to provide our members with the best possible service and meet all of their financial needs, it is necessary for us to work with trusted and reputable businesses to accomplish our mission. Below are our business providers and some information about why their relationship with us is an integral part of our organization. Click here to access all the ways you can pay for your loan with Pathways! From Bill Pay to Direct Deposit and more, Pathways gives you several options to ensure you’re on time, every time. Your FREE Pathways SmartScore, powered by SavvyMoney! 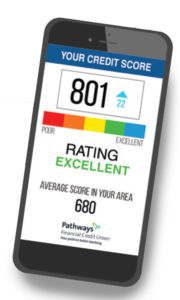 Enjoy unlimited access to your credit score and credit report. You can also understand what your credit score means, factors that impact it, and what you can do to strengthen it. Plus, you’ll have custom recommendations to improve it along with personalized offers designed to help you save money. Click here for more information! Take the stress out of buying a car. If you’re in the market for a new or used vehicle, start your search with the Pathways Car Buying Service, powered by TrueCar®. It makes car buying easier and friendlier, giving you a no-hassle buying experience that guarantees you savings on your vehicle purchase price so you never overpay. In fact, participants see an average guaranteed savings of $3,221 off MSRP* when buying a new car from a TrueCar Certified Dealer. At Pathways, we believe in your financial security. That’s why we’ve made available insurance coverage offered through CUNA Mutual Insurance Society to help protect your future. As part of our family, you can get valuable protection at affordable rates. This insurance is not a deposit and is not federally insured or guaranteed by the credit union. 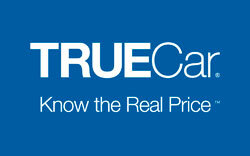 Click the banner below to learn more about insurance products available to you through TruStage! Pathways is happy to offer Debt Management and Financial Education services through Trinity Debt Management to our members. This combined assistance includes budgeting advice, money management tips, debt repayment tools, educational material on avoiding bankruptcy, foreclosure, and more. Click the links above for more information! Cooperative Business Solutions provides comprehensive member business lending solutions for credit unions, including analysis, underwriting, servicing, documentation preparation, pricing, education, training, and strategic planning. 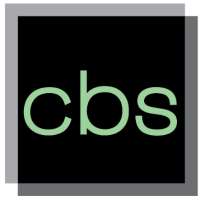 CBS is cooperatively owned by the Ohio Credit Union League Services Corporation and eight credit unions, and partners with over 70 credit unions across 10 states. Learn more about Cooperative Business Services, LLC. or click here to visit their website. As a Pathways Financial Credit Union member, you can experience one-stop shopping and great discounts all at one place – LoveMyCreditUnion.org. One visit to the Love My Credit Union Rewards website and you’ll soon discover fantastic savings on wireless service and phones with Sprint and pretty much everything else at Shop America. *Non-deposit investment products and services are offered through CUSO Financial Services, L.P. (“CFS”), a registered broker-dealer (Member FINRA/SIPC) and SEC Registered Investment Advisor. Products offered through CFS: are not NUCA/NCUSIF or otherwise federally insured, are not guarantees or obligations of the credit union, and may involve investment risk including possible loss of principal. Investment Representatives are registered through CFS. Pathways Financial Credit Union has contracted with CFS to make non-deposit investment products and services available to credit union members.